The wait is nearly over: the Honda Civic Type R will make its American debut later this spring. The new Honda Civic Type R made a lasting impression on us when it was revealed at Geneva. America has been deprived of Honda’s hot hatch over the years, but this is finally changing with the new model which is looking like it will be worth the wait. It's had a sporty makeover and improvements across the board over its predecessor, from the chassis and suspension, to the aerodynamics. Now, Honda has announced the new Civic Type R will make its North American debut at the New York Auto Show in April, before going on sale later in the spring. Prices will start at the mid-$30k range, pitting it directly against the Ford Focus RS which starts at $36,120. 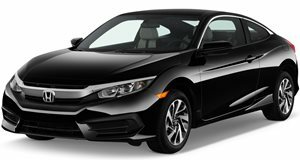 Powering the first Honda to grace the Type R badge in the US is a 2.0-liter turbocharged engine which produces 306 horsepower and 295 lb-ft of torque, while the European spec gains a slight power boost at 315-hp. Power is sent to the front wheels through a manual six-speed gearbox with active rev-matching. Only the top Touring trim is available for the new Civic Type R. That means it's well equipped with a seven-inch touchscreen display with navigation, Apple CarPlay and Android Auto, as well as a 540-Watt 12-speaker audio system. It also comes with 20-inch alloys, beefy 245/30-series ContiSportContact tires, and an aerodynamic bodykit as standard. The new Civic Type R may not be the fastest hot hatch, but its upgraded body and chassis, and “Nurburgring-tuned and tested performance components” should make it a formidable competitor against the Ford Focus RS. Both cars have turbocharged engines, offer superb value for money and even have the same Brembo brakes, but the Focus RS has the obvious power advantage with its 350 horsepower, and is also all-wheel-drive. It's a tough one to call, especially as the Focus RS only launched in the US last summer. Time will tell if the Civic Type R will make its mark in the US. The fastest, most powerful Honda ever sold in America, the Type R caps off the incredible success story of our 10th generation Civic lineup," said Jeff Conrad, senior vice president & general manager of the Honda’s US division. We're happy to inform our US enthusiasts that the long wait for the forbidden fruit of Honda Type R performance is nearly over!" Honda will also be revealing the Clarity Plug-In Hybrid and Clarity Electric at the New York Auto Show.